The iPad's closed system is great for computers or it's doom, depending on who you talk to. CC-licensed iPad picture by Glenn Fleishman. Here are two interesting but conflicting opinions on the iPad, pro and con. 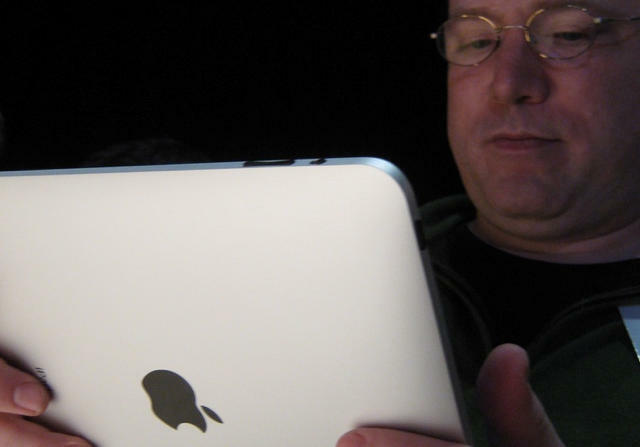 Con: Tech author Rafe Colburn says the iPad is a scary harbringer of the closed future of consumer computing. I’m with Hewitt. The IPad is a cloud computer par excellence, and we will likely be able to run almost any software we want on it, but it’ll be on a server somewhere and not on the iPad. Colburn notes this too, but thinks it’s a bad thing.